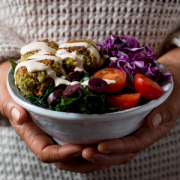 Are you looking for an alternative to those pre-packaged veggie burgers that are loaded with preservatives, sodium, and other icky stuff you probably don’t need? We thought so. 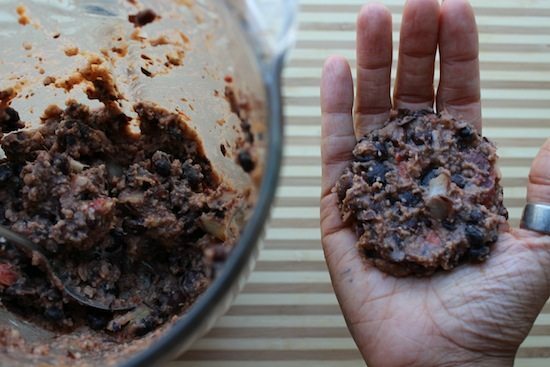 That’s why we created this delicious DIY black bean veggie burger recipe that is sure to rock your socks. All ingredients are fresh and whole, and everything can be done in 5 easy steps. Watch the video below to get started. 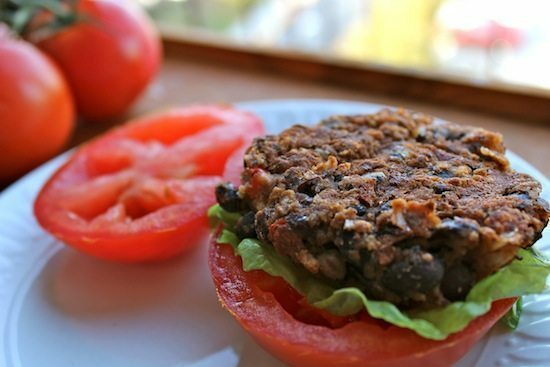 Black beans serve as the base of this veggie burger. 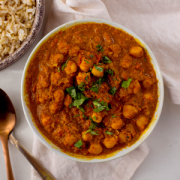 Beans are an excellent source of dietary fiber to help keep our digestive tracts running smoothly. They are also a great source of plant-based protein. To top it all off, beans are a phenomenal source of iron. Iron helps to carry oxygen and nutrients to our blood cells, which help keep our cells healthy. This means that you will feel more energized and healthy all over. Not to mention the plethora of other veggies mixed into this burger to add many other important vitamins and minerals. 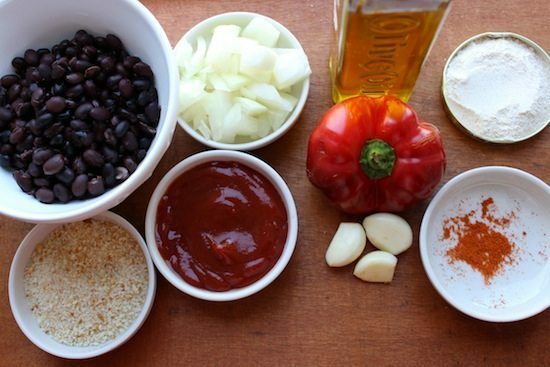 To make these, you’ll need to start by combining black beans, chopped onions, chopped red pepper, panko bread crumbs, garlic, ketchup, whole-wheat flour, olive oil, and a dash of cayenne in a food processor or blender. Pulse it a couple of times to make sure it is all mixed well to develop a smooth consistency. If you are having trouble blending the mixture, add some water, stir the mixture with a spoon, and then continue pulsing. Once you are done blending, scoop the mixture into a bowl. Form 4-5 patties with your hands and sprinkle each side with extra breadcrumbs. Bake at 450F for 15 minutes or until crisp and brown. 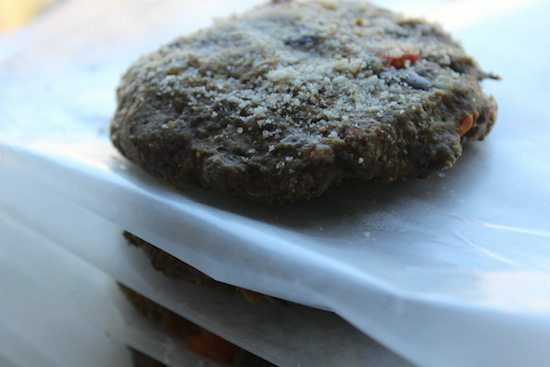 Veggie burgers are a great idea to make the patties ahead of time and store them in the freezer! They are perfect for those busy days without sacrificing healthy eating. 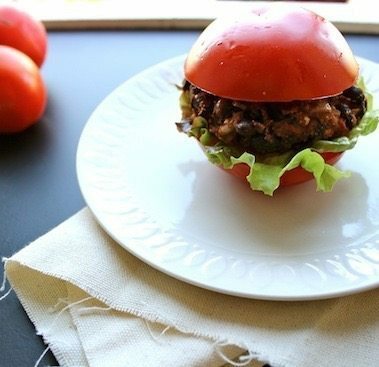 Have you ever made your own veggie burgers? Let us know what you think in the comments below! After you get a consistent texture, scoop out the mixture into a bowl. bake for 15 minutes on each side at 450F or until crisp and brown. would other small additives, such as hemp hearts (seeds), flax seeds (ground or whole), whet germ, chia seeds, etc., change the consistency of the burgers? also, i made these tonight from your recipe and they are bomb! Just made these for the second time tonight, love them! They are true to their description, “Spicy”! This recipes is down in the books, and now I REFUSE to buy the overpriced and over-proccessed veggie burgers I used to buy from the store. Thanks so much for this ladies!! I really want to try out this recipe but I have one question. Im not a big fan of ketchup. Can you recommend something I can substitue for it? What kind of black beans do you recommend? I made these last tonight and they were amazing. 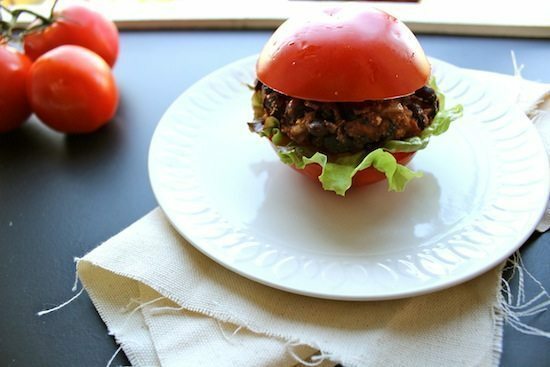 There are so many recipes for black bean burgers out there I am so happy I chose this one! I can’t wait to make more of your recipes. Keep giving us great recipes ladies! Awesome! So glad they worked out for you. Stay tuned for more awesome recipes! Just made a batch of these to get me through finals madness. 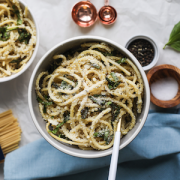 Thanks for the quick, healthy recipe to help me be good to myself amidst all the end of semester stress! I finally tried out the recipe and I’m so happy that I did. I used a little bbq sauce instead of ketchup and I also added some cooked brown rice to the mixture. It came out awesome. I did cook them on the stove with olive oil…I like the crunchiness from cooking them in the pan. I’ll try baking them and see how I like them. Just made these for the first time but they came out a little too runny and couldn’t work with it is there any reason for that? Oh no! Maybe you added too much water for the blender? The breadcrumbs should help to make them more sturdy. Perfect recipe. Thank you for sharing!